Tax Investigations - 3 Ways To Manage The Problem! We don't know if you got the chance to read our previous post on how to avoid Tax Investigations. Unfortunately, even if you follow all our 3 favourite tax investigations avoidance tips (and the three bonus tips), you can't completely avoid the possibility that you are selected for an investigation. Remember, the tax rules are complex that it is not always easy to know in advance whether you have complied with all the rules. This can result in a few sleepless nights and makes for tense tax investigations visits! However, if you are selected for tax investigations, there are steps you can take to make the process a little less, err, taxing. If you are faced with tax investigation then we suggest you come to love your tax inspector. 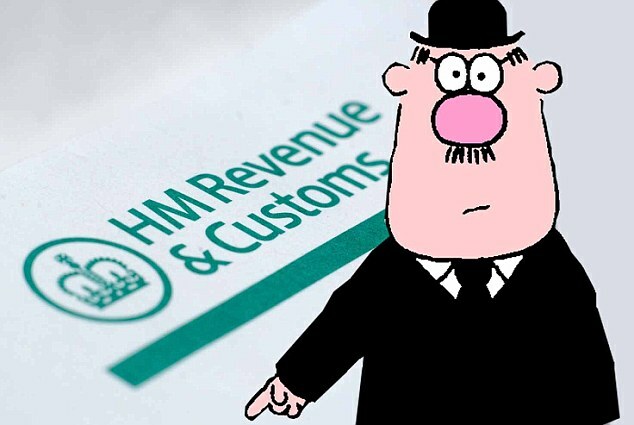 Be especially nice to the Taxman when he turns up and keep your fingers and toes firmly crossed that he is in a good mood! Tax Investigations - What Is The Taxman Entitled To Have! Let's say that the worst happens and you receive a letter from the Taxman saying you are under “full investigation”. It is likely that he will ask for all your business records to be handed over. So what should you do? He is entitled to inspect your books but he cannot require you to send your records to his office. So it is up to you where the Taxman inspects your books. You might be inclined to allow the Taxman to inspect your books at your premises. However in our experience this can cause additional problems. The Taxman will get a chance to have a snoop round your premises and this could result in additional questions being asked. Are there better alternatives? We think so! Tax Investigations - 3 Ways To Manage The Pain! Tax Investigation Tip 1 - Start taking control and speak to him first. Ask him why he's enquiring and offer to explain your business to him. He's probably picked you for inspection because his computer has identified that one of your performance indicators (i.e. gross profit margin) is out of line with other businesses in the same sector. If you can explain why it is out of line it could restrict the scope of his visit. Tax Investigation Tip 2 - Have the Inspector examine your books at your accountant's premises. This has the advantage that the Taxman can't snoop around or ask you on the spot questions. Instruct your accountant to tell the Taxman to put any queries he has in writing. That takes the pressure off you giving snap answers. This is another reason we endorse Xero, as the records can be accessed online from the cloud anytime, anywhere! Tax Investigation Tip 3 - Offer the Taxman half a day to inspect the records. You have to give the Taxman reasonable access, so he can ask for more time depending on the complexity of your records, but try and set boundaries at the outset. Tax Investigation Tip 4 - Do not allow him carte blanche to take copies of everything he asks for. Ask him to mark up all the pages he would like a copy of. Then offer to copy them for him and send them to him in the post. you can see what it is that the Taxman has found so interesting to instigate the enquiry in the first place. Tax Investigation Tip 5 - Do not allowing him to take copies of computer data files. Just offer to give him the hard copy print-outs. This will stop him from putting your data through his own computer interrogation software he keeps back at the Tax Office. Tax Investigation Tip 6 - Don't let him have them for an unreasonable length of time. If you do end up giving him your records, tell him that you need the books back in order to run your business. This will prevent him from going over your books again and again and again in order to find something, however trivial, in order to justify his enquiry. If you are worried about your accountant will charge you fees for this, then make sure you cover this matter when you engage them. A good accountant will ensure your risk is minimised, and help you answer any queries as part of their fees. If you are still worried, then we always recommend joining the FSB, where tax investigation costs are covered by the membership fee. Remember - Because any return can be selected for enquiry, keep all the documents and information you used to prepare your tax returns at least until the time limit allowed for the Taxman to make an enquiry has passed (ideally six years). This is another reason why we recommend Xero to all our clients because all this is stored in the cloud and accessible at any time! As we have said before, tax investigations are not on the list of things business owners should look forward to experiencing. You can minimise the risks of getting one or multiple tax investigations by following our top tips from the previous post. In the past 13 years, we have only seen 1 full investigation and 10 partial investigations amongst our client base. However, the longer you are in business, and the bigger you get, the chances for tax investigations do rise. Hopefully the tips above will ensure your visit goes off without serious incident. If you know of any other great tips for managing tax investigations that can be shared with our readers then let us know via the comments or through LinkedIn. If there's one message we want you take away from this post is to not allow yourself to be the Taxman's punchbag Fight back and TAKE CONTROL!